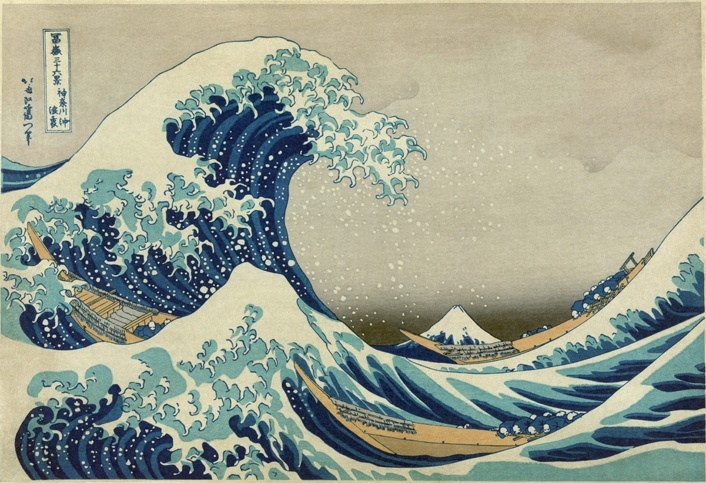 One of Japan’s most iconic artworks, this hugely influential woodblock print was produced in the early 1830s, as the first in a series of paintings by Katsushika Hokusai (1760–1849). Conveyed through bold blocks of eye-grabbing colour, The Great Wave is a dynamic fusion of contrasts – energy and stillness, power and vulnerability – and remains the most recognizable image of the Thirty-six Views of Mount Fuji. The Great Wave is one of the great masterpieces of art. It has occupied a unique place in the affection of both Western and Eastern Cultures, since its creation in the early 1830s as the first of 36 Views of Mount Fuji, by the master of the Ukiyo-e style, Katsushika Hokusai (1760–1849). 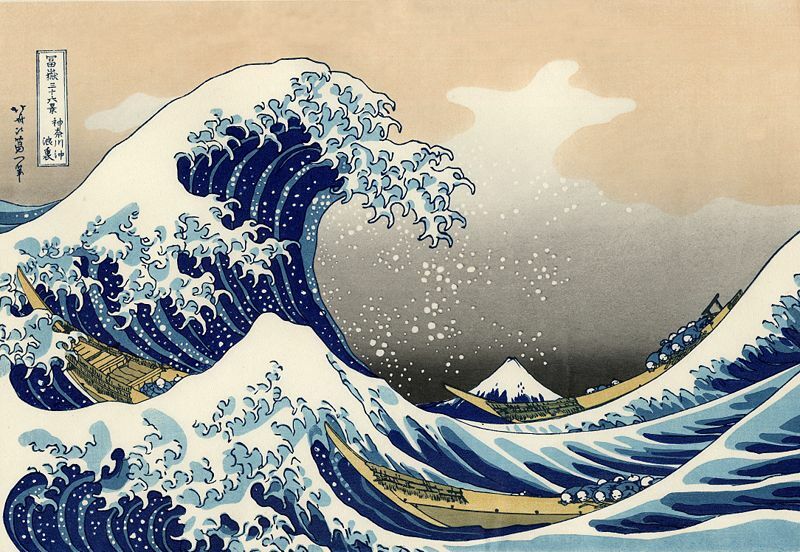 Probably the most famous of all Japanese artworks, The Great Wave is a woodblock print, not a painting, and unlike many of its contemporaries it brought strong European influences into a cultural landscape dominated by eternal, East Asian sensibilities.